Each person has a different body and each body has a different composition of muscles. There are several types of muscle, but probably the one most well known by normal people are the skeletal muscles. These muscles are made up of different cells called myocytes. Myocytes are what we are talking about when we discuss muscle fibers. Muscle fibers and myocytes are two words for the same thing. These myocytes are in turn held together by connective tissue. Muscle fibers form in a process called myogenesis. In this process different myoblasts are fused. This fusion results in long cylindrical cells that have more than one nucleus and are called myofibers. 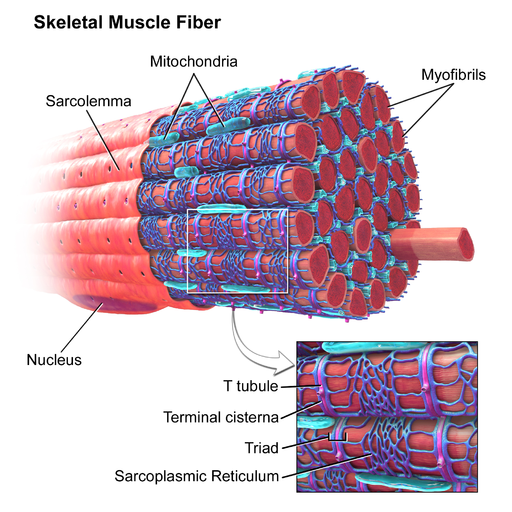 Myofibers are further made up of myofibrils, which are in turn made up of sarcomeres, which are the basic units of cells in muscles. These sarcomeres repeat one after another to form the muscle. Sarcomeres are made up of different types of protein. The different proteins that make up the sarcomeres can be described as long and fibrous and function by sliding past each other when the muscles contract. There are several types of protein that make up sarcomeres, however the most important are myosin (which is thick) and actin (which is thin). They are the primary building blocks and also very important for muscle contraction. Myosin and actin bind to each other, while the myosin head also binds to ATP (source of energy for muscle movements). Myosin and actin act on each other and this makes the muscle fibers generate tension. 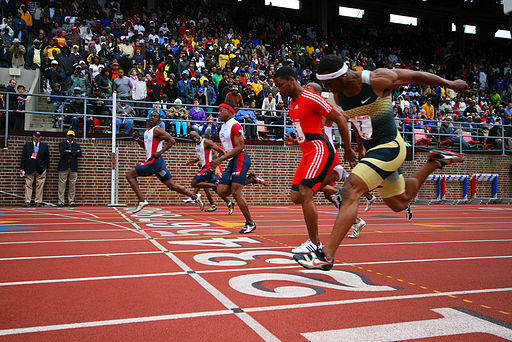 With the aid of motor neurons this tension is what creates muscle contraction. While myosin and actin are probably the most important proteins that make up the sarcomeres, there are also other proteins, for example titin and also nebulin. Fast twitch fibers are further subdivided into two subcategories, Type IIa and Type IIb fibers. Whether a muscle fiber is slow twitch or fast twitch depends largely on two factors, the type of myosin present and also on oxidative phosphorylation. Oxidative phosphorylation is a process after which ATP is formed (ATP = fuel). The amount of muscle fibers that you have in your body will greatly influence how big you look. 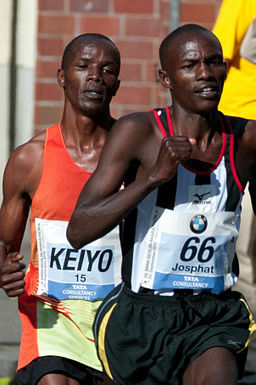 Most people have an even split of 50% to 50% of slow twitch to fast twitch muscle fibers. However there are some people who have a predominance of one type over another. If you have a predominance of slow twitch fibers, then you will look skinny. So you will have to train hard in order to maximize those fast twitch fibers that you have, because they are the ones that have a much higher ability to grow bigger. Fast twitch muscle fibers are twice the size of slow twitch muscle fibers and also have a higher potential to get much bigger. So if you want to look bigger, you will have to concentrate your training on making those fast twitch muscle fibers expand and grow. So this means heavy loads and low reps. Or train like a sprinter. Those guys usually have a predominance of fast twitch fibers over slow twitch fibers. That could be because of genetics, but also training. Training slow twitch muscle fibers requires a different strategy. In order to train them, you will need to do higher reps, shorter rest and higher volume (so more sets). Some scientific research shows that training can change fiber type, however it does not happen very often, so you cannot rely on it. There are different types of strategies that can be adopted in order to maximize your gains and achieve your goals. Whatever strategy you choose, remember to train hard and push through your limits.